Major retailers are jumping the gun on Black Friday by offering doorbuster specials this weekend, including $200 Windows laptops and 32-inch LCD HDTVs. For tech enthusiasts with a serious bout of bargainitis, now may be the time to shop. Deal-hunting site Black Friday 2011 reports that Best Buy has several trample-thy-neighbor bargains in its Shop Early Save Big sale, which runs Friday and Saturday, Nov. 4-5. 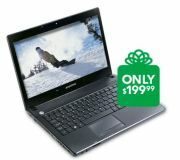 Most noteworthy is the $200 eMachines laptop, which features a 14-inch display with 1366-by-768 resolution; 2GB of memory (expandable to 4GB); an Intel Celeron Processor 925 (1MB cache, 2.3GHz, 800MHz front side bus); a 320GB hard drive (5400 rpm); a 4-cell lithium-ion battery; a DVD±RW/CD-RW drive; and Windows 7 Home Premium Edition. 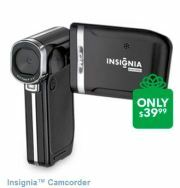 Other Best Buy deals include: a Dynex 42-inch LED HDTV for $400 ($100 off); an Insignia high-definition camcorder with a 3-inch LCD screen for $40 ($60 off); and a Motorola Xoom Family Edition tablet with a scratch-resistant InvisibleSHIELD for $360 ($70 off). Starting Sunday, Nov. 6, Target has a few doorbusters too, including a Westinghouse 32-inch LCD HDTV (720p resolution, 60Hz refresh rate) and an Acer laptop with an 11.6-inch display. Each sells for $197. That's a $102 off the laptop's regular price, and $82 off the TV. 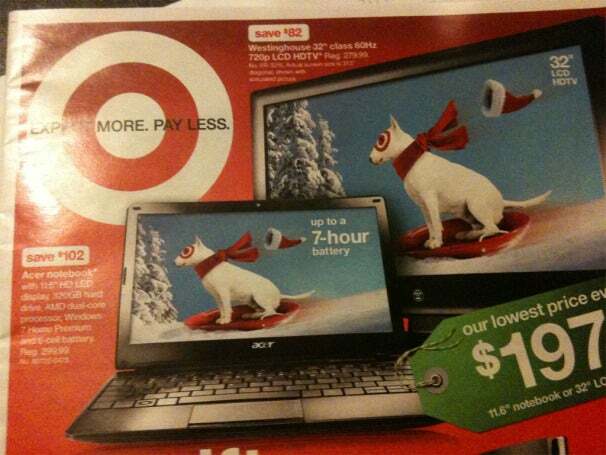 Here's a sneak peek at Target's Nov. 6 newspaper ad, posted early by Black Friday 2011. Sanyo 42-inch LCD TV for $400 (regularly $450). Nook Color eReader for $200 (regularly $250, but reportedly dropping to $200 anyway with the arrival of Barnes & Noble's new Nook Tablet). Granted, Walmart's specials aren't so special, particularly its Xbox 360 deals. Best Buy, by comparison, is offering a $100 gift card with its Xbox 360/Kinect bundles. Will you shop early this holiday season? Wait until Black Friday? Hand out lumps of coal?